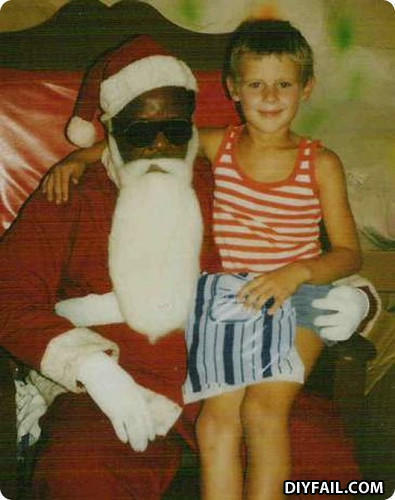 Make sure to leave kfc and malt liquor out before bed for Blanta! They say this cat Shaft is a bad Santa....SHUT YOUR MOUTH! Say what?!? You be wanting a robot? Now where is I suppose to steal one of dem at? "I know this isn't Santa. Just take the damn picture. I know this isn't Santa. Just take the damn picture. I know this isn't Santa. Would you take the damn picture!?" You really succeeded to portray yourselves as a bunch of racist bigots. Not funny at all. How do you know if elephants are watching a movie? If a Volkswagen Beetle is parked outside the movie house.